‘iZombie’ renewed for Season 2! 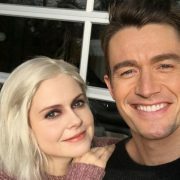 CW has given iZombie its seal of approval, renewing the series for a second season on Wednesday. 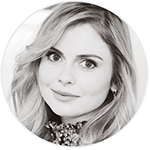 iZombie, based on DC Entertainment characters, follows Olivia “Liv” Moore (Rose McIver), a medical student-turned-zombie who works at the coroner’s office so she can have access to a steady supply of her favorite food: brains. However, when she eats one, she also absorbs the dead person’s memories, which she then can use to help detectives solve murder cases. Rob Thomas and Diane Ruggiero-Wright , both veterans of Veronica Mars, are executive producers of iZombie, which has some of the feel of the earlier series.